with our reowned brand ALLISCO. 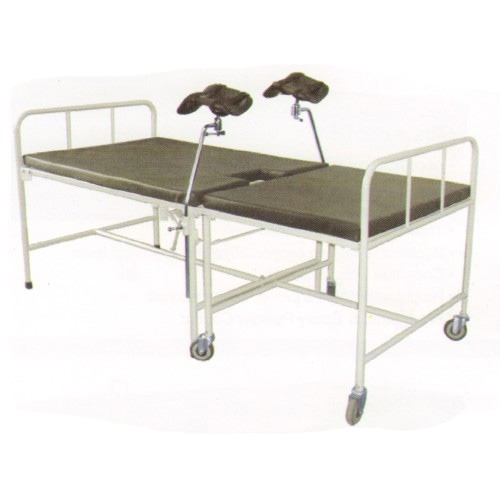 we are the leading manufacturer and supplier of Obstetric Delivery Bed. We have gathered a huge customer base in this domain by presenting a comprehensive range of Obstetric Delivery Bed. This bed is designed at our ultra modern designing unit using optimal quality leather, steel and metal alloy with the aid of innovative techniques. In addition, the offered bed is manufactured adhering to industry standards. Apart from this, the provided bed can be easily availed from us in bulk at cost-effective prices. with our reowned brand ALLISCO. 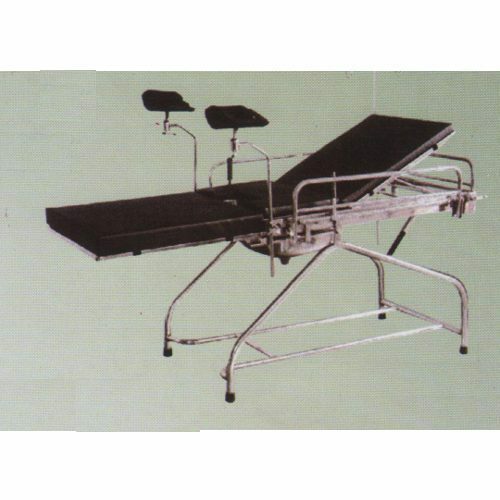 we are the leading manufacturer and supplier of HObstetric Delivery Table (3 Section). 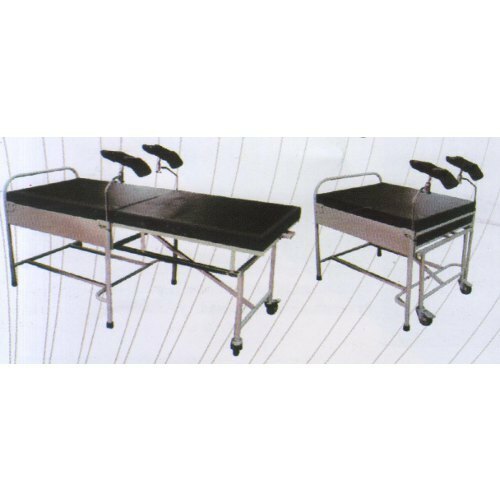 With phenomenal market understanding, we are able to introduce an extensive range of Obstetric Delivery Table (3 Section). This table is manufactured using premium quality steel alloy with the aid of latest techniques under the supervision of our skilled professionals. Owing to their flawless finish and rugged design, this table is extensively used in hospital for delivery purposes. Also, this table can be availed from us at reasonable prices. with our reowned brand ALLISCO. we are the leading manufacturer and supplier of Obstetric Labour Table Telescopic. Backed by our years of industry experience, we are betrothed in presenting an excellent quality of Obstetric Labour Table Telescopic. The provided table is designed and manufactured under the stern guidance of our dedicated professionals. Also, the table is made using optimum grade steel with the help of pioneering techniques under the stern observation of our deft professionals. Having sturdy and appreciating design, this table is highly acknowledged among the clients. with our reowned brand ALLISCO. 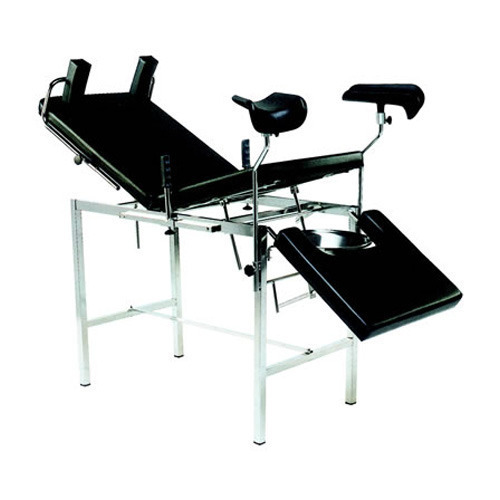 we are the leading manufacturer and supplier of Obstetric Labour Table Telescopic Adjustable Height. Tubular frame work mounted on swiveling castors. Trendelenburg positions, adjustable by pneumatic gas spring system. with our reowned brand ALLISCO. 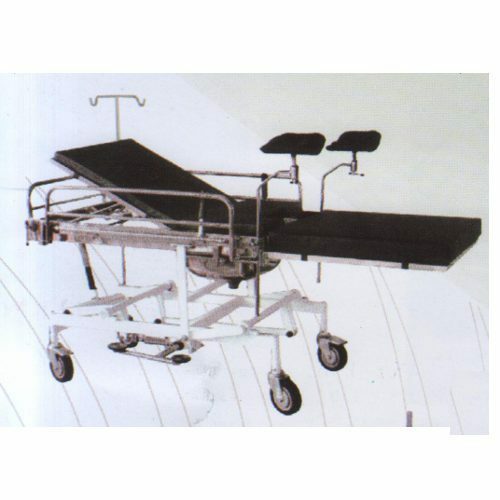 we are the leading manufacturer and supplier of Delivery Bed Telescopic. with our reowned brand ALLISCO. 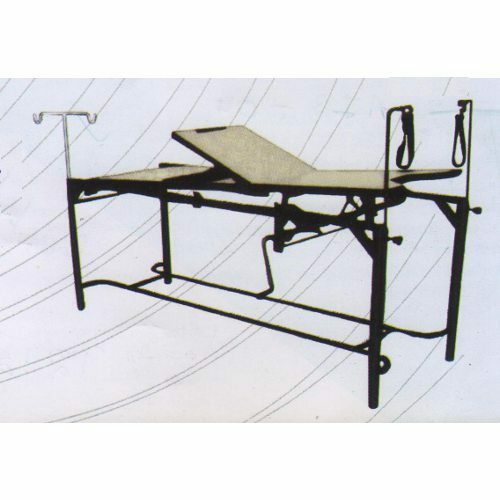 we are the leading manufacturer and supplier of Obstetric Labour Table Mechanically. • Approx. Dimensions: 72"L x 27"W x 30"H.
• Tubular frame work mounted on PVC stumps. • Stainless steel top in three sections. • Trendlenburg positions adjustable on screw mechanism by handle. • Backrest section adjustable on ratchet. • Height adjustable a pair of leg holders with straps. Complete with self locking traction handle at side I.V. Rod & maltress.